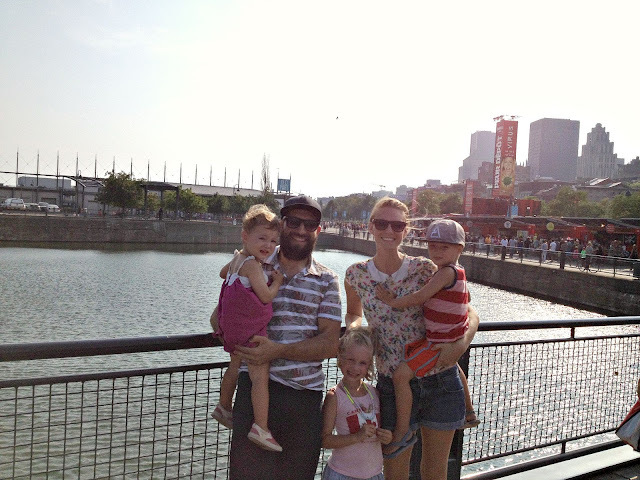 Last Monday we packed up the kids and headed to Old Port for the YUL EAT food festival. Any time Brad is off we aim to do something as a family, and we always try to find events with free admission. This was an awesome combination of both. We took the metro - an event in itself as our kids love the subway - and set out to have a fun, hot day. Champ de Mars is such a beautiful metro station. Go figure, it's the entry to one of the most beautiful parts of Montreal! 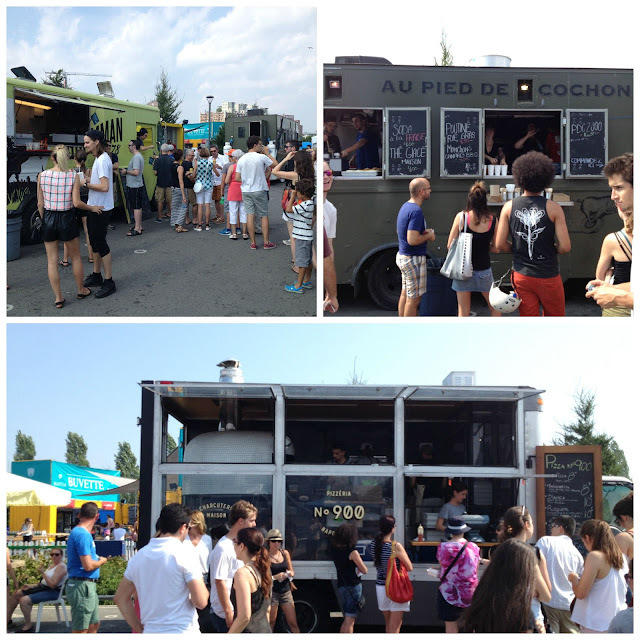 There were some incredible food trucks at YUL EAT. They even had one with a wood burning oven for pizzas inside! 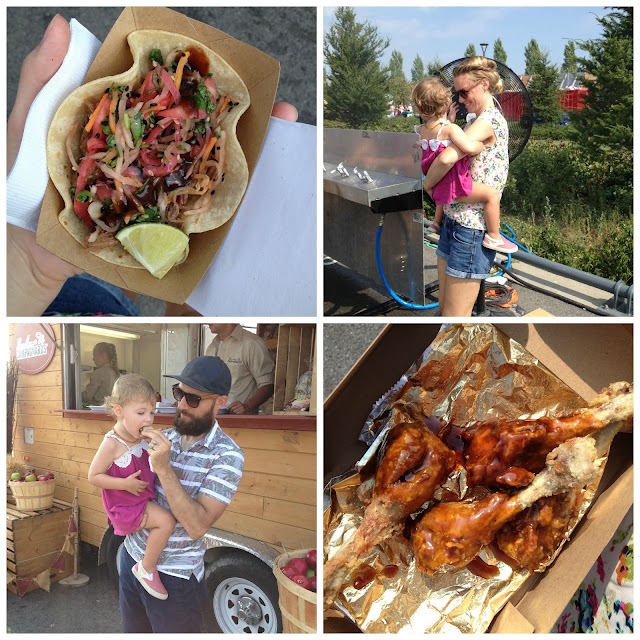 We got fried duck legs from Au Pied du Cochon's truck (only $4!) and Grumman tacos. So delicious. We fed the kids before we left and gave them tastes of ours and then treated them to a $1 baby cone at Noble Cafe on the way home. The lines weren't too bad at all for a food truck festival, though the heat was probably the reason. But they had these incredible stations with fans blowing cold mist all over the place so we survived happily! This September has been outrageously hot for Montreal standards and I'm not complaining. We've loved the extra taste of summer and long weekends. Now that I have a kid in school I really see the weekends as a precious time whereas before it was just like any other day. To quote Bridget Hunt, "men in uniform? pshhhhh. men pushing a stroller! ". Yep. Hubba hubba. I used to worry about lighting and making sure everyone was looking, but now I'm just thankful for a picture with all five of us in it. Before long it will be winter and we'll look back on this hot hot month with smiles.